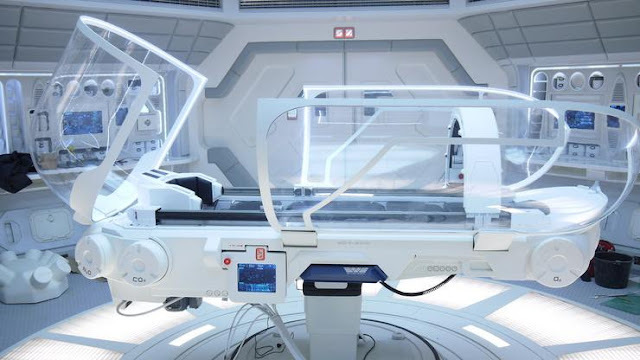 The above picture is what the Holographic Medical Pods [allegedly] look like which the Secret Space Programs (SSP) utilize in their medical bays. Source: Ileana the Star Traveler, [alleged] former Secret Space Program Asset on Mars. Jared also hosts a daily global guided meditation program that starts 3 p.m. Eastern Standard Time (EST) in the U.S. Telephone numbers to access the "live" program for callers in the U.S. and International countries can be obtained at the meditation's website. For more information, check the listing in the Resources section at the end of this article. The initial goal is to reach 8000 people meditating on a consistent basis. It is said that one person with focused intent can effect change for up to 1 million people! In the article on this website, “Behind the Scenes News Sources,” on the update for July 15, 2018, Saint Germain says Med Beds will be introduced to the public before the end of 2018. Ileana the Star Traveler wrote the following information on the Holographic Medical Pods. She obtained the information by using a unique method “hypnosis regression memories” whereby Ileana was able to verify the information did indeed come from the Secret Space Program by seeing the holographic medical pods during her tenure as a Secret Space Program Asset on Mars. The information is available in a PDF free download - see Resources at the end of this article. Could it heal someone who had been poisoned with Heavy Metals(Cadmium Red & Yellow pigments along with other chemicals (in the past 25 yrs. ago)? i.e.Safely detox every cell in the body that was damaged? Would more than one treatment be needed? You do know that the picture is from the film Oblivion. But of course that is sort of disclosure. Anyway we can use one of these to heal now?